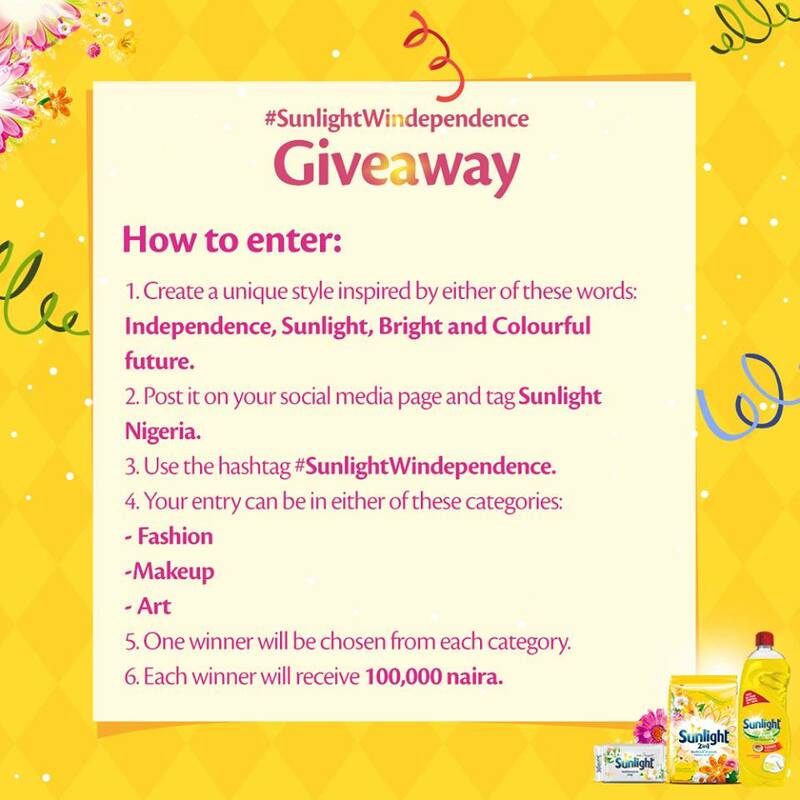 Here is a competition From Sunlight Detergent!!! We are switching things up this October!! If you are an artist, have a passion for fashion or have great makeup skills. 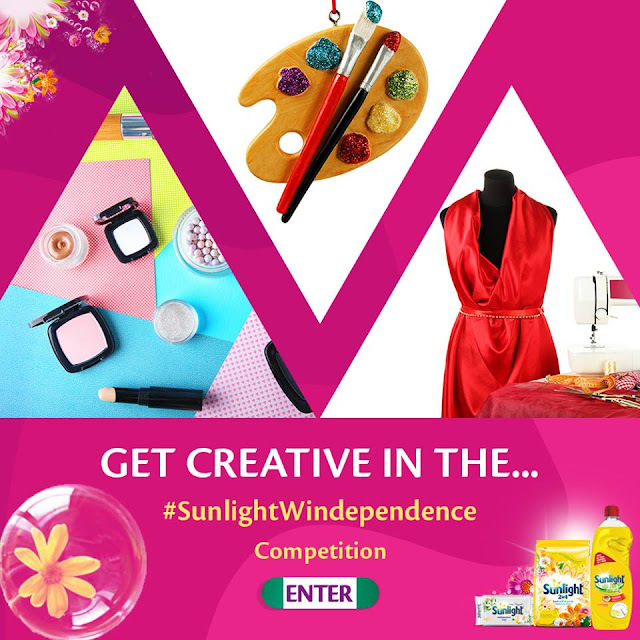 We are giving you the opportunity to show your skills and win the sum of 100,000 naira. 3. 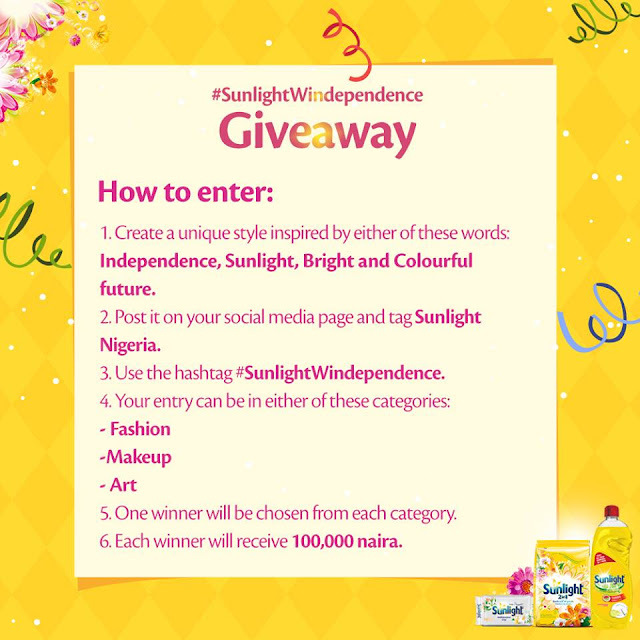 Use the hashtag #SunlightWindependence giveaway. 4. One winner will be chosen from each category: Fashion, Makeup and Art.